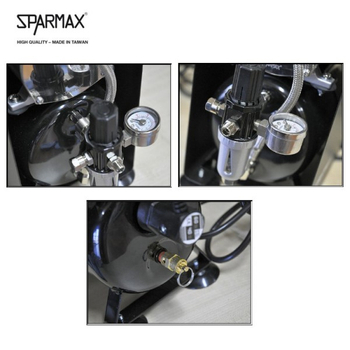 Sparmax Compressors | for beginners and professionals. 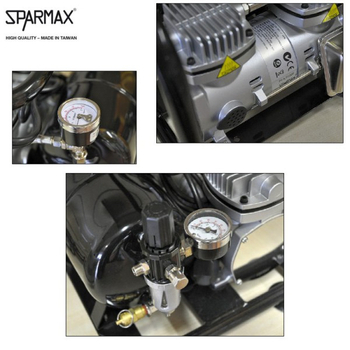 SparMax compressors | Easy ! Quiet ! Powerful ! Oil free ! 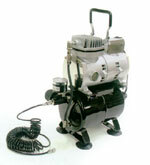 Oil-free compressors are completely maintenance free. 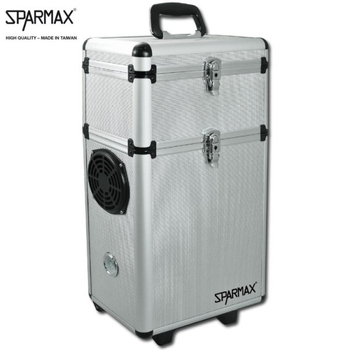 Based on their design a wide range of models has been developed with various sizes, features and performance levels. 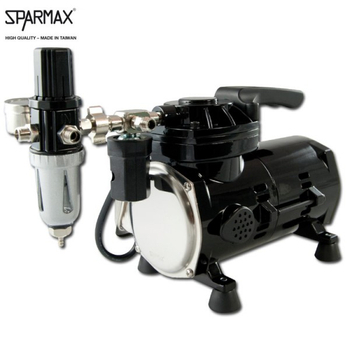 From pocket-size mini compressors to powerful professional devices with air tanks, these systems satisfy all possible requirements. 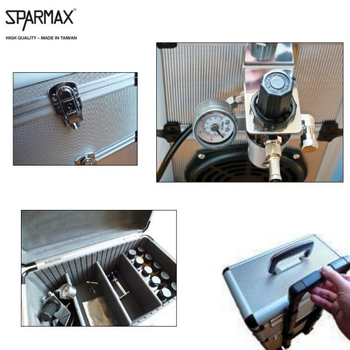 Especially beginners and hobbyists benefit from the excellent price/performance ratio. 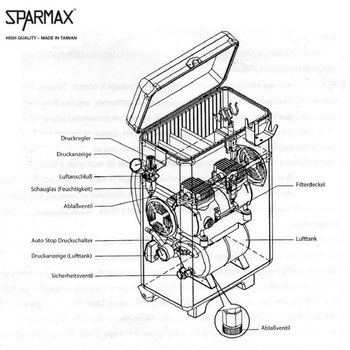 Oil-free compressors are noted lightweights, which makes them ideal for mobile applications, e.g. in the field of nail design, makeup, body art and tanning. 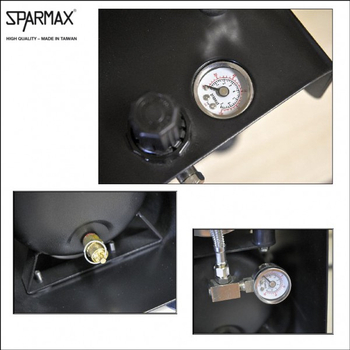 Most of these devices are equipped with a pressure reducer and a pressure gauge and can be connected to any airbrush equipment via standard connectors. Of course all of these compressors carry all mandatory seals of approval and certifications. 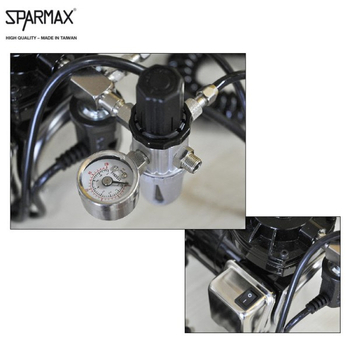 The Sparmax Compressor assortment consists of efficient and powerful oil-free devices of various sizes and facilities. 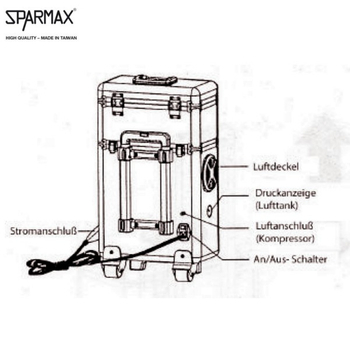 Depending on the application, the user sets priorities for power, pressure, weight or volume and place in Sparmax range is always the right device. 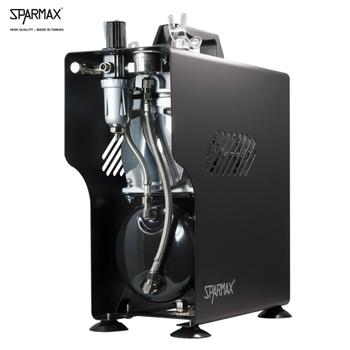 Thus, for larger applications in addition to high air output eg require an air tank for constant pressure. 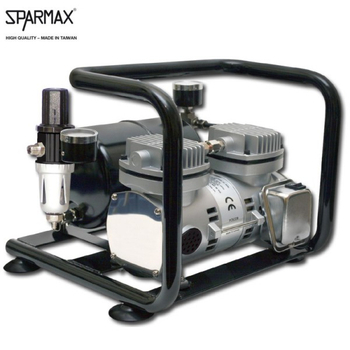 Occasional, small or mobile applications can be overcome, however, been very good with small, lightweight and inexpensive compressors. 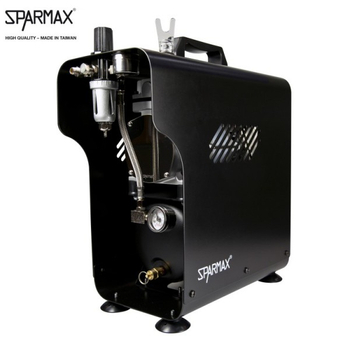 Because of their oil-free operation of all compressors are maintenance free and work very quietly. All compressors have the internationally prescribed CSA, CE, UL, PSE, FDA, TUV GS approvals.